JMSR adopts the Creative Commons Attribution License to all works published providing immediate and permanent access for free to all types of original works. The license grants copyrights to the author concerned and make the articles available for their dissemination. Anyone can use the articles in any constructive way as long as the credit is given to the author and citation to the original source. This broad license facilitates reader free online access to all types of original works and grants permission to reuse, re-copy and reproduce the work. Under this license, the author is free to make their work available to Open Access and distribution without any permission from the publisher. For queries about the license, please contact us. Journal of Medical and Scientific Research recognizes the effort and involvement of a scholar in publishing an academic research work. To display quality in its articles, the JMSR support COPE guidelines and uphold high standards of publication ethics to all of its journals. To ensure fair evaluation process, all the submitted manuscripts undergo double-blind peer review process. The process involves strict measures to prevent plagiarism, redundancy of manuscripts, fabrication of data and multiple submissions. 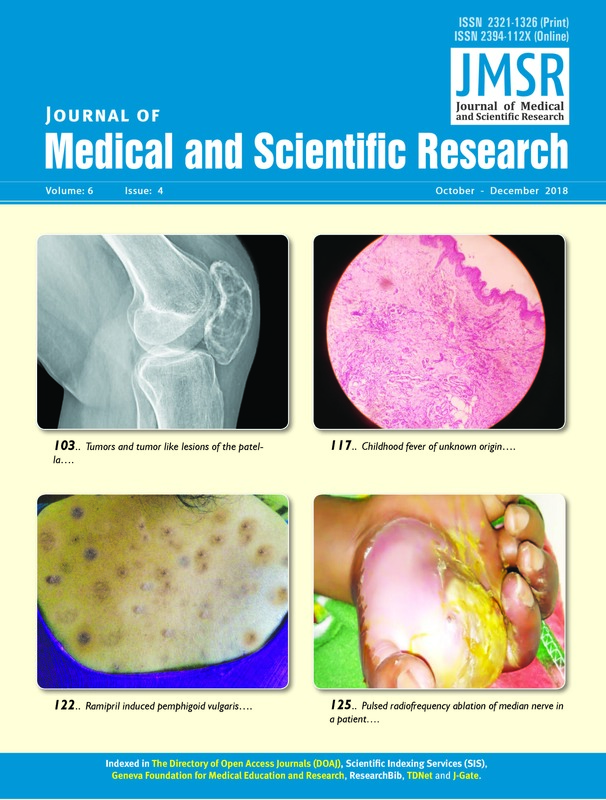 Manuscripts must be submitted to JMSR electronically using the online submission system Or as an email attachment to the editorial office at editor@jmsronline.com. Depending on the article type, full details on how to prepare and submit a manuscript are given in the Instructions to Authors.